Eight people have died and over 30 others are injured after a private bus going from Bhubaneswar to Hyderabad fell into a river near Vijayawada in Andhra Pradesh early morning today. The injured have been taken to the Nandigama Government Hospital. At least 10 are reportedly critical. The bus which was to cover over a 1,000 km to from Odisha to Telangana had made a stop in Vijayawada where a new driver took over. 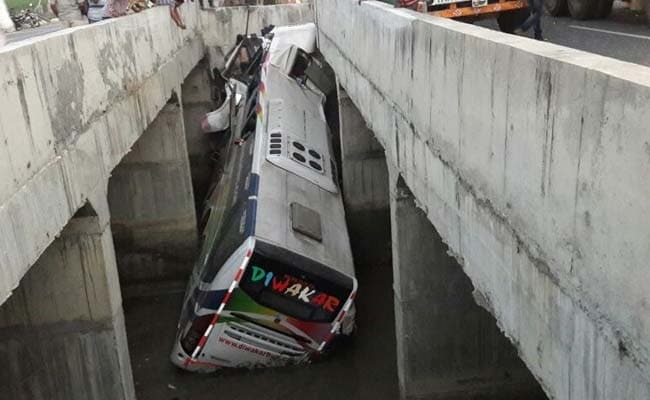 The bus reportedly overran a bridge divider and plunged through the gap between the two lanes into a river in Mullapadu around 5.30 am. Gas cutters were used to rescue the passengers. The driver was suspected to be sleepy and his negligence is being assessed as the cause of the accident, according to initial probe.